AutoCamp is an innovative Airstream resort with locations in Santa Barbara, the Russian River Valley of Sonoma County and Yosemite, California. Inspired by the wanderlust and adventure of the great American road trip, AutoCamp is an unparalleled luxury Airstream camping experience for people who love the outdoors. Our team worked in close partnership with the hospitality brand to develop an unprecedented boutique hotel destination, elevated through innovative architecture and unique guest amenities. Anacapa designed the AutoCamp Russian River & Yosemite sites, including the iconic Clubhouses, Cabin Suites, Luxury Tents, and Custom Airstreams. Interior furnishings and decor were fashioned by San Francisco-based Geremia Design. 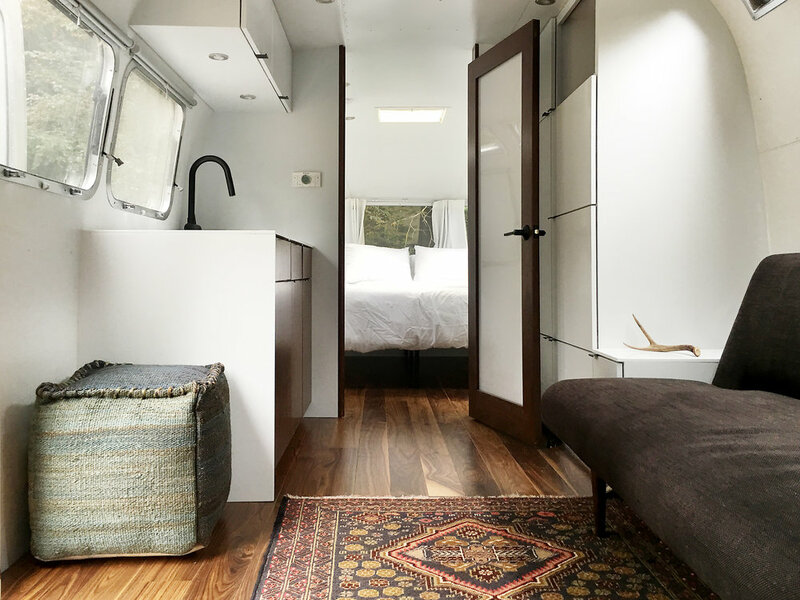 We custom-designed the interiors for AutoCamp's Airstreams in direct cooperation with Airstream USA. The Airstreams feature bright, spacious interiors with top-grade kitchens and full-size spa-inspired bathrooms with a walk-in shower. Mid-century modern design meets contemporary luxury with walnut floors and modern finishes. 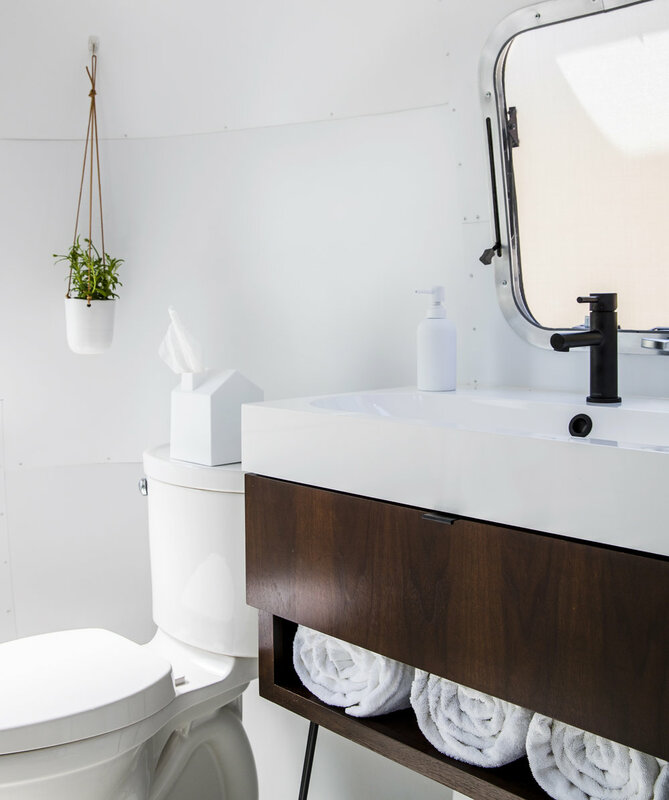 Luxurious amenities, including down bedding and linens by Coyuchi, mattresses by Casper, bathrobes, Malin+Goetz bath products and custom art, elevate the hospitality standard in each Airstream. Learn more about AutoCamp Russian River, its iconic Clubhouse and Luxury Tents and discover AutoCamp Yosemite, opening February 2019.